First ever LNG transfer with the Universal Transfer System (UTS) on October the 7th in Norway. 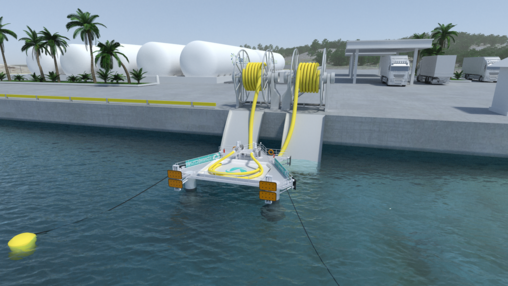 (UTS) is a game changing floating solution for LNG transfer between ship and shore that replaces the need for cost and environmental intensive harbor and jetty structures. This solution allows for rapid expansion of the value chain and transfer of LNG at locations where it was previously not possible due to environmental and economic constraints. The UTS is a plug&play solution which requires no modifications to the LNG carrier. locations where it was previously not possible due to environmental and economic constraints. The UTS is a plug&play solution which requires no modifications to the LNG carrier. 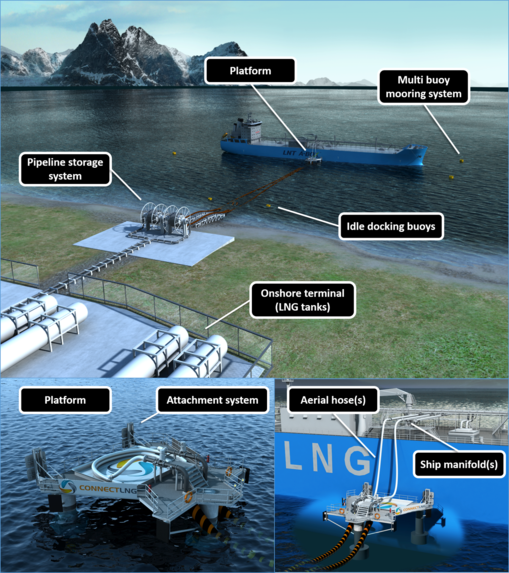 The UTS is a floating LNG transfer solution, consisting in a platform which can connect to any LNG carrier. LNG is then safely and efficiently transferred from the platform to the onshore terminal through floating flexible pipes. Connect LNG has established representation in the Dominican Republic to serve clients in the Caribbean and Central America. Connect LNG will be represented by GasEner to clients in the Caribbean, Ecuador, Panama, Guatemala and Peru, from their head office in the Dominican Republic. 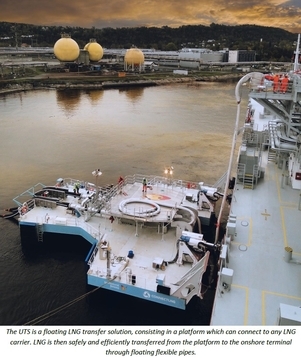 GasEner was one of the early movers for small scale LNG in the region, and has for the past 15 years successfully delivered a number of terminal projects. - Small LNG is not scale-down standard LNG. The cost of a jetty for a 10,000 m3 terminal is approx. the same as for a terminal twenty times bigger. The UTS® bridges the gap, making a significant reduction in cost, permits and engineering. At the same time it reduces the time to commissioning by 50%, it performs at the same level of safety and reliability as the most sophisticated jetty, says CEO Federico Martinez at GasEner. - Our strategy is to be present where our customers are, and have a hands on approach to serve our clients needs. Having GasEner on board will strengthen this, says Magnus Eikens, CCO at Connect LNG. The UTS® is designed to reduce infrastructure costs, bypassing the need for comprehensive dredging or jetty construction in beautiful places like the Caribbean islands.